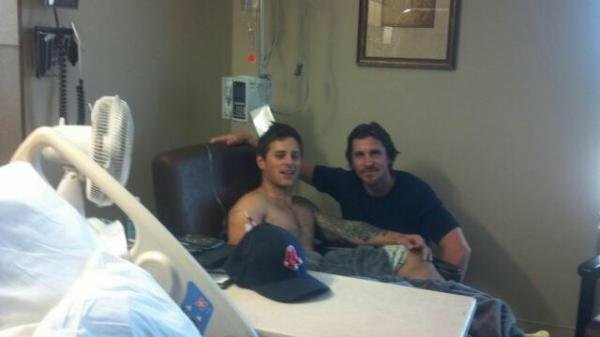 ‘The Dark Knight Rises’ star Christian Bale is currently in Aurora, Colorado, visiting the shooting victims from Friday night’s tragic shooting at a screening of the new hit film. The Denver Post first reported the “Batman” sighting, by posting the photo featured above that has been circulating around on Facebook and Twitter. Such a great thing for Christian Bale to do!